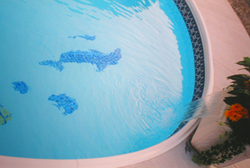 Choosing the correct and most suitable filtration system for your pool can be a daunting task. Pumps and filters come in different sizes, with different methods, and different levels of effectiveness. Let our expertise guide you through these decisions. We can make the decision less confusing and easier so that you can sit back and enjoy your new pool. Contact us for a complete selection of filtration options.